Our delightful pub offers superb quality home-made country food. 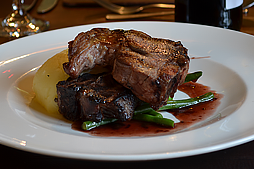 Using the best of local produce, including meats from our own family farm. 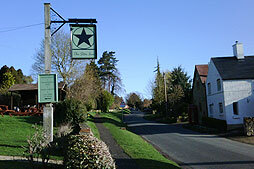 With cask ales including a guest ale each week and open fires, the Star Inn offers the perfect traditional country pub experience. We serve a large variety of food, from delicious freshly baked baguettes, to traditional home made Pies, beer battered Fish and Chips or treat yourself to some pan-seared Scallops or our famous Belly Pork dish. With close proximity to the beautiful Bredon Hill, this pub makes the perfect rest stop for walkers and dog owners alike. You're welcome to call in for a home made Pork Pie or a freshly cooked Scotch Egg and a pint. Dogs are welcome at the pub and with off road parking and a large garden our pub really is family friendly. We love to meet new customers, so if you haven't been before, we hope to see you soon. If you're one of our regulars, we love you just as much and appreciate your support.